Because Bethany loves me so or maybe just because I commented on her blog recently, she nominated for this little beaut. About the award:The award is circulated to those bloggers to let them know that their posts brighten your day. The Rules:1. Include award logo in a post or on your blog. 1. What did you want to be when you grew up when you were little? I can't very well recall. Probably a teacher because that's what all the other little girls wanted to be, but I do kind of recall saying I wanted to be a doctor. The idea of being an engineer didn't occur to me until I was a sophomore in high school. And even then I wasn't really sure what it all entailed. 2. What’s your writing utensil of choice? 3. If you need to ask someone a question and that person is not within earshot (i.e. : talking isn’t an option), are you most likely to text them, call them, instant message them (either through gchat or otherwise), or e-mail them? It mostly depends on the person, but my favorite way is instant message via g-chat or Google Talk as it is now called on my phone. I facebook instant message with Kelly often, but I think she is the only one. The commons of the engineering building-the actual name of the building is the Seamans Center. It did make me angry when finals week would roll around and a bunch of non-engineers would show up and steal all the tables. On the bright side, if you showed up at 7 am, you could get a table. Hmmmm, I can touch my tongue to my nose. 6. How many e-mail accounts do you have active right now? Three: gmail, hotmail, and my work email. 7. What did you have for lunch yesterday? 8. What’s your favorite type of weather? Slight breeze and slightly cloudy in the mid-70s. 9. Have you ever met anyone famous? And if so, who? 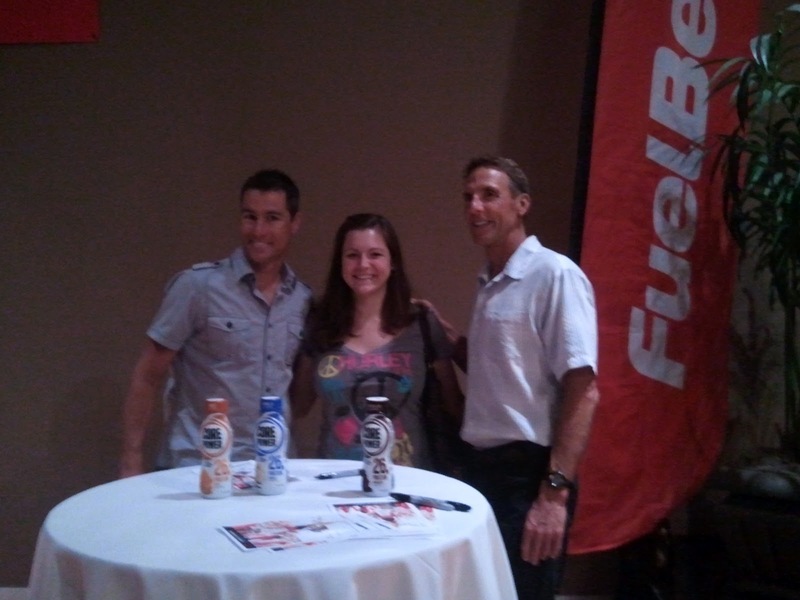 One time I met Craig Alexander who is a famous triathlete and Ironman World Champion. And Dave Scott who has some ridiculous number of Ironman Championship titles. 10. What’s your ideal mode of transportation? I wish I could ride my bike everywhere but sadly, where I live is not all that bike friendly. So now I'm supposed to nominate 10 other people, but since Bethany nominated like most of the people that read here regularly, I only nominate a few. 5. If you are reading this, consider yourself tagged. 1. What is a signature dish that you make? 2. What was your favorite college class? 4. What is your favorite race distance (5k, half-marathon, etc.)? 5. Favorite football team? If you hate football, just say the Iowa Hawkeyes and I'll be happy. 7. Have you ever watched the show Dance Moms? Don't lie! I just watched the whole season on OnDemand. 8. Where and when was your last vacation? 10. What is your favorite gum brand and flavor?